I spent my last two years of college living in the most adorable, shabby-chic apartment with 3 of the most delightful girls I know. One summer, one of my roommates and I decided that we had eaten a bit too much ice cream that spring. So we started a no-carb diet. 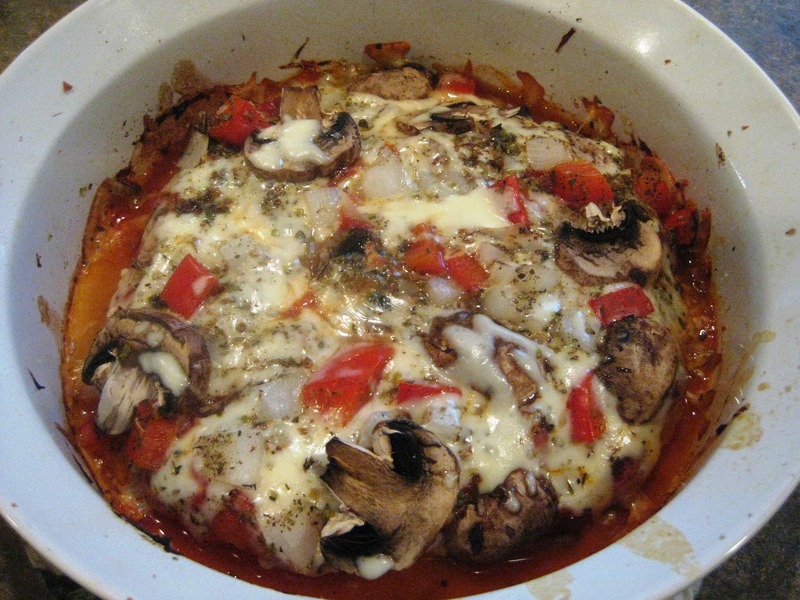 This recipe was one of our favorites. While I definitely don’t recommend the diet, I can recommend this recipe! Gluten free, but it will hit the spot of the pizza-shaped hole in your stomach. 2. 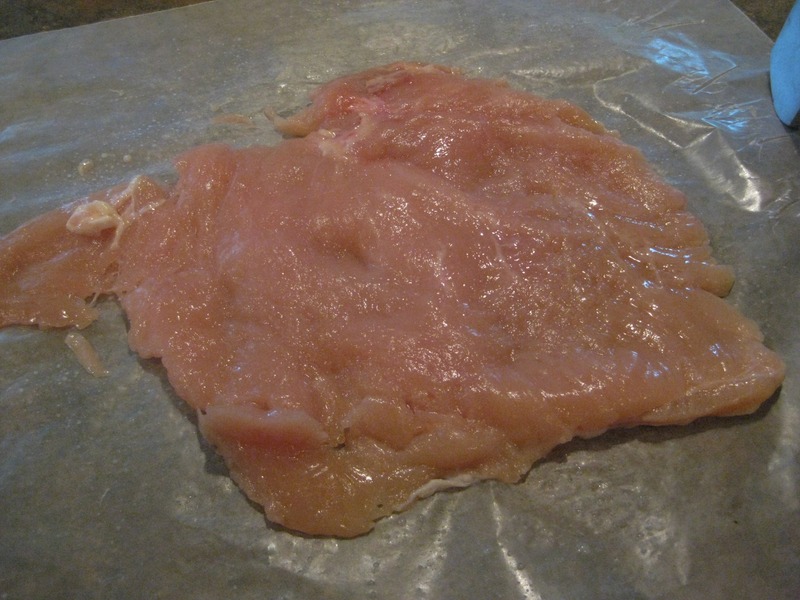 Place the chicken breast between two sheets of wax paper. Pound with the flat side of a meat tenderizer or a mallet hammer until it’s about 1/2 an inch thick. 3. 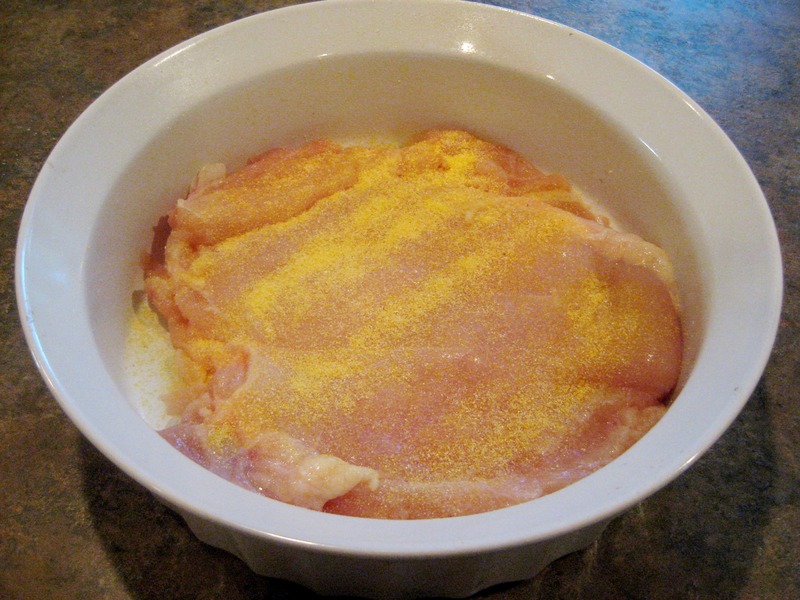 Sprinkle cornmeal on each side of the chicken. 4. Spread pizza sauce. 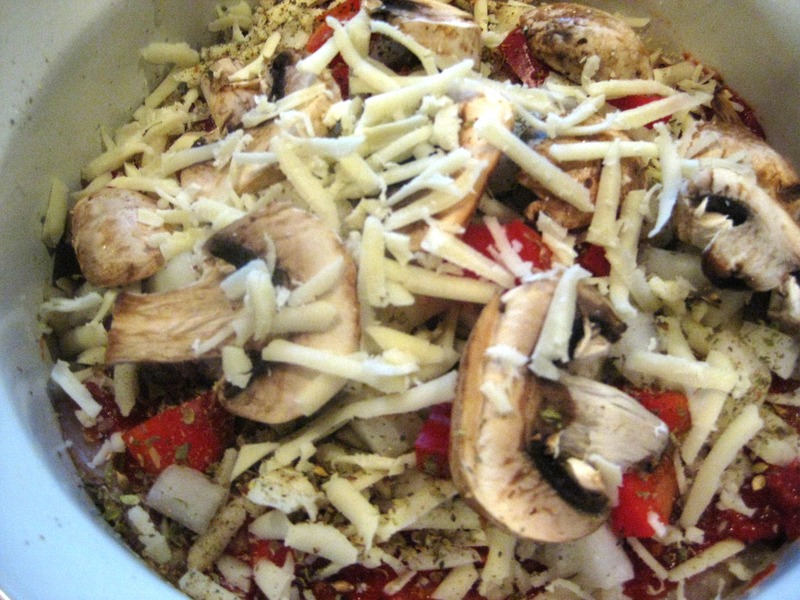 Add toppings and spices as desired. 5. Bake, covered with tinfoil, for 25 minutes. Uncover and bake for 5 more.